Humanistic Counsellor at Delce Counselling Services Chatham. Supporting Mental Health & Well Being. Fees are £30 for one hour. Fundamental to my work is my belief that feeling connected to others and ourselves is important to our well being and mental health; feeling that we matter. I believe that we all have value and that our mental health matters too. My passion is in connections with others and with ourselves; feeling connected to others and ourselves; feeling that we matter. It is my passion that underpins my work; that we all have value, that we all matter, that we are valued. There can be times in our lives when we hide away our selves, when we feel unable or afraid to talk about our true feelings and we try to be what is expected or what we feel is expected. Counselling therapy is a space for you to talk about and explore your feelings, your thoughts and relationships in confidence and without judgement. It is a space for you to explore how you can grow to feel more safe in yourself and with others. I aim to support you to explore your true identity, so that you may feel enabled and better equipped to make changes in your life. Fundamental to my work as a counsellor is facilitating your self worth and self acceptance. As a Person Centred counsellor I truly believe that you have within you what it is you need, to be in your life who you want to be. I trust that you are the only person who knows what you want, how you are feeling and what it is you are thinking and so I always aim to offer to you a space where you will feel enabled to explore what you need, what feels right for you and how you can grow to feel more safe in yourself and with others. I offer both long and short term counselling for you to explore in confidence and at your own pace, any feelings or thoughts that you are experiencing as difficult or painful. Seeking counselling support can feel daunting. If you have not experienced counselling therapy before you may not know what to expect or what will be expected. 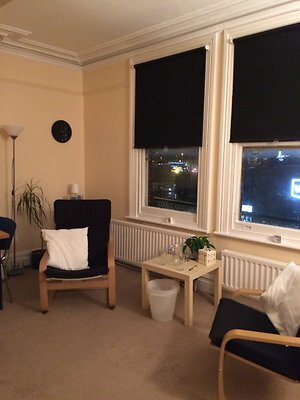 If you would like to contact me to see if counselling therapy is for you and to decide if you feel comfortable talking with me, I offer one to one counselling to adults from a lovely, spacious and comfortable room in Chatham, 17 New Road Avenue, at the Avenue Business Centre ME4 6BA, which is within easy reach of Gillingham and Rochester, Strood and Frindsbury. I offer counselling on Mondays, Tuesdays during the day, Wednesday day and evenings, Friday mornings and late evenings and Sunday mornings. Both self referrals and professional referrals are accepted. Counsellor in Chatham Kent, close to areas such as Rochester, Gillingham, Chatham, Strood, Wainscott, Lordswood, Waldersalde.